Affiliate Partner Allen & Overy welcomed over 30 aspiring solicitors to their offices to give our first-year attendees a taste of life and work at the Magic Circle firm. To start the day, Aspiring Solicitors’ CEO and Founder Chris White highlighted the importance of diversity in the legal profession, using the analogy of law firms needing to look in oceans, rather than small ponds, to recruit the best legal talent. For our first-year attendees, who were from a diverse range of backgrounds, this was an empowering message to kickstart the event. Emma Barker, one of the firm’s Graduate Recruitment Specialists, led the first session, giving students an overview of where Allen & Overy sits in the market. The firm’s reputation is renowned – 2,700 lawyers across 44 offices in 31 countries. With 73% of the firm’s work involving more than one of Allen & Overy’s offices, it’s a truly global player in the market. Emma recommended that students think about this kind of detail when applying to the firm. Which of the firm’s sectors are you interested in and why? What are the core areas of expertise? This research should be gathered from a range of sources – such as the firm’s social media platforms and annual report – rather than just looking at their website. Next up was the first panel of the day, with partners Mark Mansell and Paul Flanagan and Associates Saskia Baer and Nathan Charnock. From the outset of the session, questions from students had a diversity focus, with one attendee asking what the most successful Diversity and Inclusion initiatives were at the firm. 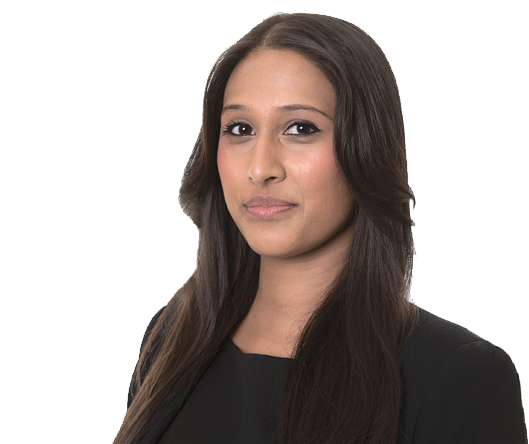 Paul was proud to be one of the co-sponsoring partners behind the firm’s BAME imitative. Through this, Allen & Overy celebrated Black History Month for the first time as an organisation last October, inviting guests including Trevor McDonald to speak at the firm. Mentoring is also now a bigger priority at Allen & Overy. This happens at all levels across the firm – from offering work experience to sixth form students from different socio-economic backgrounds through the Smart Start scheme, to pairing up female associates and partners to build support networks. The panel also touched on the topic of mental health. Commercial law can be a stressful and challenging career, but all employees are encouraged to look after their well-being – which may be through a lunchtime workout in the firm’s gym, or by utilising the advice lines and occupational health support available. It was great to hear the panel speak honestly and reassuringly on what is undoubtedly an important consideration for all aspiring solicitors. An interesting point of focus for Allen & Overy is innovation, which the firm prides itself on in the legal market. This is the rationale behind Fuse – a collaborative innovation space in the firm which has been set up to explore and develop practical technology solutions in legal tech, reg tech and deal tech. To give members an insight into how the firm stays ahead of the technology curve, Patrick Skinner, an AI practice consultant for Kira Systems, ran the next session. 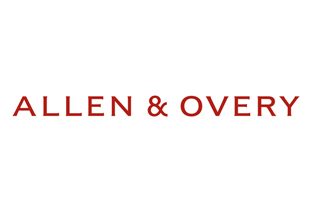 Kira Systems is a machine-learning assisted contract review analysis platform – and it’s a prime example of how firm’s like Allen & Overy can reduce costs for clients by working in a more efficient way. For a process like due diligence – which can be time-intensive, costly and ripe for human error – AI could play a valuable role, reviewing documents in 20-90% less time with the same or greater accuracy. Patrick believes software like Kira will soon become part of every lawyer’s desktop – giving students an interesting commercial insight into the future of the legal profession. Following a networking lunch and office tour with trainees, we rounded off the afternoon with the Professional Ambassadors panel. We were joined by third seat trainee David Siesage, fourth seat trainee Hannah Pack, Associate Adam Welsh and second seat trainees Lee Turner and Kristin Hoo. The panel all agreed that culture is the biggest differentiator between firms – so started the session by discussing why Allen & Overy’s culture is different. The panellists believed that the firm strikes a great balance between having a high-performance environment that is still supportive and collegiate – it’s a firm that is full of people with an interest in seeing you succeed. Adam noted that working with bright, funny colleagues in this environment is key when working on complex deals that may require long hours. Students were also interested to hear about how Aspiring Solicitors had helped the panel to get to where they are today. Each panel member had a different experience to share. Adam and David had already secured their training contracts when they were introduced to Aspiring Solicitors – but they were both keen to provide their support as Professional Ambassadors, describing the resource as “invaluable” for students. When deciding to pursue a legal career after working in charities for several years, Hannah turned to the Aspiring Solicitors team to find out what a career in commercial law entailed and how she could make her non-legal work experience relevant. The panel were also asked to share the challenges they had overcome so far during their training. David and Hannah agreed that periods of transition can be difficult – whether that’s moving between seats or making the move from student to young professional – whilst Kristin thought that time management could be challenging as a trainee. Adam chose a challenge that everyone in the room could relate to: rejection. Applying for vacation schemes and training contracts can be a demoralising process with plenty of rejection – but it was reassuring to hear that is a normal part of the process that the panel had all faced too. Adam shared that he even pins his old rejection letters to a noticeboard in his office, serving as a daily reminder that he has the resilience to overcome such challenges. Further to this, Lee shared a difficult challenge that he had to overcome, having previously been a future trainee at King & Wood Mallesons. After the firm went into administration, Lee lost his training contract and had to start the training contract application process from scratch. This challenge taught Lee the importance of not giving up, and it eventually led to his success at Allen & Overy. Many thanks to Allen & Overy for hosting an excellent open day for our first years. Applications for A&O First are open until 14th February 2019. You must be in your first year of a 3-year course or second year of a 4-year course to apply and all degree disciplines are welcome. Apply online here. Catch up on our live coverage of the event on Instagram (@aspiringsolicitors) and good luck to all of the attendees submitting an application to the firm.